*Services Klik hier voor meer informatie! 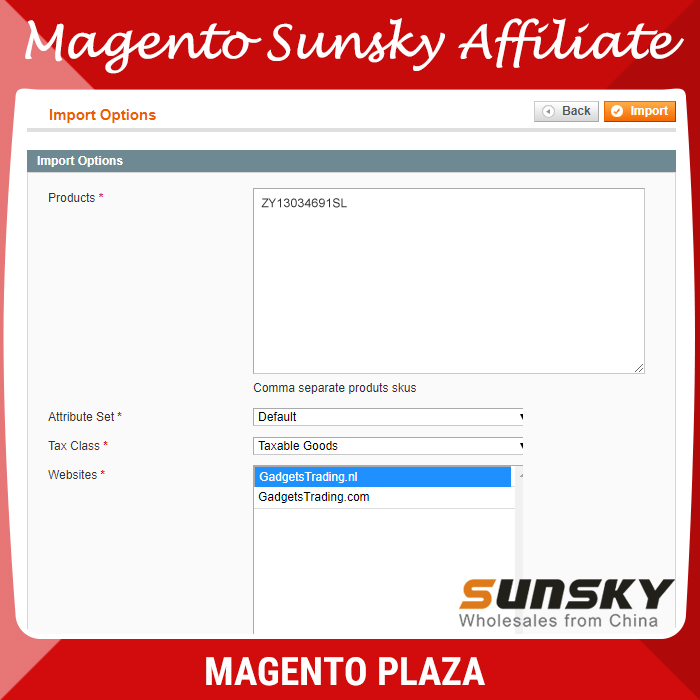 Make your work easier by importing product with Sunsky Affiliate Program. This extension helps to save time, money and effort. 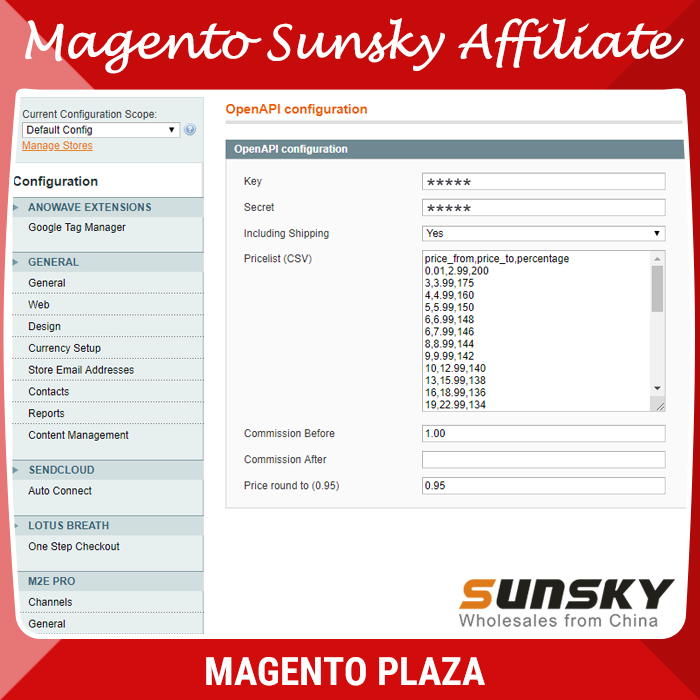 You can easily import products and from Sunsky-online.com to your Magento store in just a single click. By using this extension the seller gets a new way to earn money without establishing their own physical warehouse. We have 4 services for you. 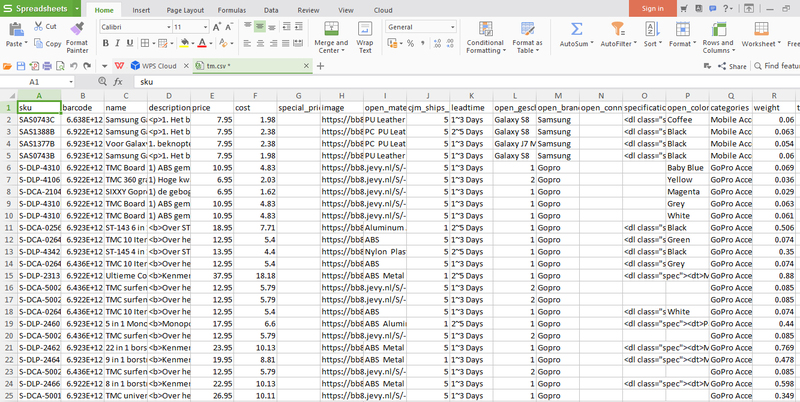 With this service we will provide you data Feed by CSV or XML format. You just need to run import process to your Magento shop by yourself. Here are the sample files of Feed. By this service we will import the feed data(as mentioned in previous service) to your shop. We can set it by cron also, by which it will run everyday at a particular time. New product will import and existing product will update. You need to send us necessary credentials of your shop and We will run the import process by our way. We will install OpenApi extension on your shop and thereafter you can easily import data whenever you need. With extension puchase, along with extension itself,we will provide you a user manual also with screen shot by which anyone can easily understand the full flow of the import process. 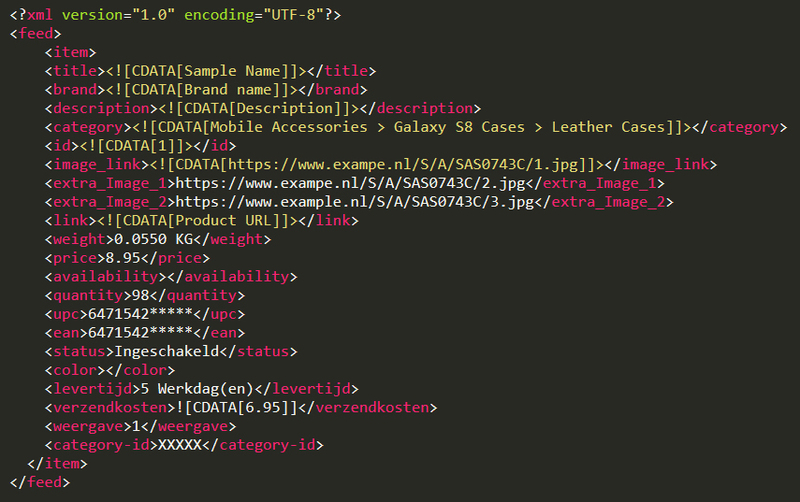 (Optional) We will also install a Feed generate extension by which you can generate anytype(XML,CSV,TXT etc.) of Feed file at anytime. Below have some screen shots. This is the complete package sevice, by which we will give you a fresh magento shop along with Openapi extension installation and necessary documents mentioned in previous service. 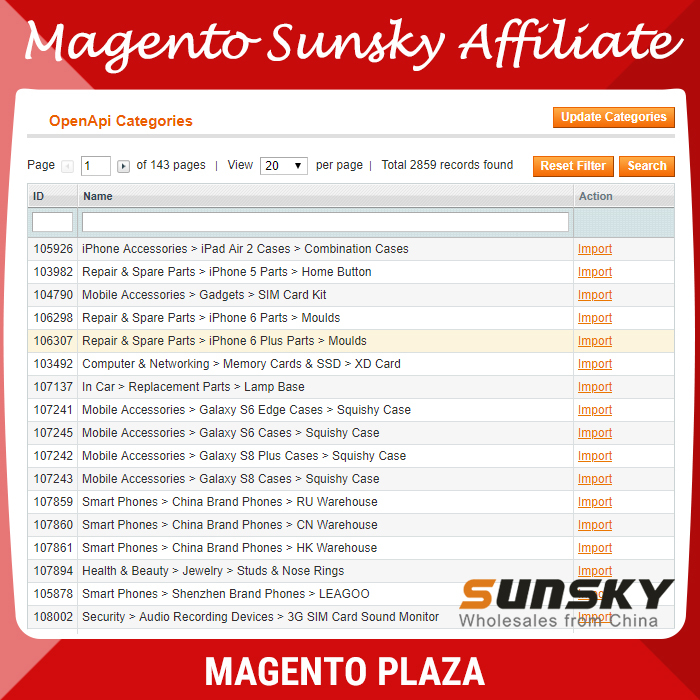 Magento Sunky Affiliate is toegevoegd aan uw winkelwagen.